Sorry for the unannounced break at the end of last week. Real life occupied my mornings for a bit, but things are getting back on track. 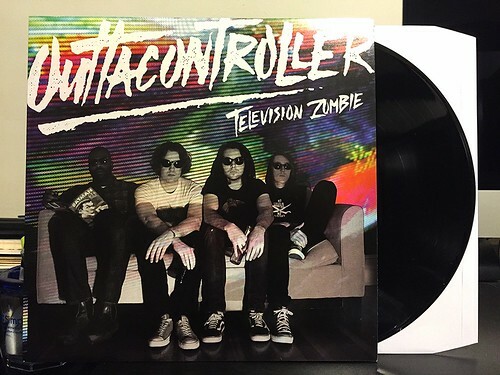 I can't think of a better return than being able to write about this Outtacontroller LP. I really dug their last album and couldn't wait to get my hands on this new one. It was definitely worth the wait and is every bit as good as their debut. For some reason I think Outtacontroller tends to get left out of the conversation when people talk about all of the great Canadian bands that are floating around right now. They very much fit in with the heavy hitters of that scene like Sonic Avenues and Steve Adamyk Band. This album, in particular, also reminds me a lot of the second Something Fierce album There Are No Answers (also known as the really, really good Something Fierce album). Outtacontroller are masters of stitching together downstoke heavy chord progressions, vocal harmonies and ultra catchy choruses. The hooks on this album are, pardon the really, really bad pun, out of control and I've been playing this album pretty much nonstop since getting it in the mail the other week. 2015 is wrapping up and I'm getting my best of the year list in order. Television Zombie is so good that it's really shaking up my list. Don't be surprised to see them quite high on my list when it is eventually posted. This is a hell of a way to close out the year.